As the clock turned to midnight last night my thoughts turned to some recent events in our community, and our province. As I watched fireworks explode over the Snye in downtown Fort McMurray what occurred to me is that I do not know if I have ever been prouder to be Albertan than these past few weeks – and prouder to be Canadian. I watched in horror when our community began to flood in early June. I watched as residents were evacuated, and as homes were left behind to uncertain fates. I watched as buildings that I know and love, like the historic buildings in Heritage Park, began to fill with water. And I watched as hundreds of volunteers descended with nothing more than their determination and muscle, fillings hundreds of sand bags. I watched as people from every demographic of this community worked beside each other. I think, in some sense, I watched a defining moment in the new generation of this place, and I was incredibly proud and honoured to see it. And then, when the worst had passed for us, the rains began in southern Alberta. I think I was not alone in watching that situation unfold with mounting horror, seeing entire communities evacuated. I knew I had never witnessed anything like this in all my decades on this planet, and I knew this was history being made, a natural disaster in our province. Then, just as had happened here, the rain began to slow, and stop – and a new flood began. A flood of people who wanted to help. They went into areas that had been cleared, and began to help people clear the debris out of their homes. I am stunned that some, having likely lost many of their possessions in the flood and unable to return home, chose to spend their time helping others. It was a coming together of an unprecedented kind, and yet of a kind that my parents, who grew up on the Prairies during the Dirty Thirties, understood. We often call ourselves a “global community”, and yet I think we are perhaps more disconnected than ever, connecting to each other most often in only the most digital and superfluous ways – but in June 2013, the residents of this province showed themselves to be true global citizens. We stood together against floodwaters, and we supported each other. We helped where we could and when we could, and we donated, volunteered, and did whatever was needed to help others. And why? Why did we do this? Because we are all in this together. When we are in a crisis all other things fall away – our different ages, disparate cultures, varied life histories. We cease to define ourselves in fine strokes and instead begin to see ourselves as humans. As Canadians. As Albertans. As community. As friends. And so we begin to work towards a common goal, whether it is sandbagging a building so floods cannot damage it further, or helping a stranger clear damaged goods out of their basement after the water has drained away. You see I think what I saw in the last month, more clearly than ever, is how we are truly so similar in every way that matters. Perhaps we cheer for different sports teams, or vote for different politicians. Perhaps we are right wing in political stance, or lean far left. Perhaps we see the glass as half empty, or half full – but when it comes right down to it – when the “chips are down” as my dad always said – we come together from a place of commonality. The differences fall away, and fade into the realm of “not important” as we focus on what matters – family, friends, and community. To say I am proud this week – to be Canadian, to be Albertan, to be a member of this incredible community – is an understatement. I am beyond proud. I am, I think, renewed in my faith in us as true global citizens. I had begun to fear we connect only through mediums like Twitter and Facebook, forgetting and foregoing that genuine human connection. This past month, June 2013, showed that we have not forgotten. It showed who we are. It showed our strength, our compassion, and our citizenship. It showed that we are, in the end, in this together. And for me? I am honoured to stand beside such amazing people. I am proud of all those volunteers in my community, and in this province. I am incredibly proud of the decisive leadership of our Premier and her government, who did not waffle or waver when faced with a crisis that few governments in our province have ever faced. I am proud, in fact, of every citizen of this province and this community. I believe that June, 2013, was a defining moment in the history of Alberta, and Fort McMurray. As the fireworks exploded last night I thought about how it was a new month, and Canada’s 146th birthday. 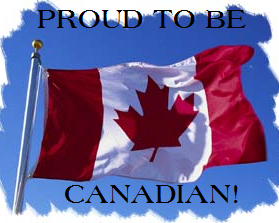 I thought about my pride in being Canadian and Albertan. And I thought about the work that lies ahead, with so many still displaced from their homes and continuing to face challenges every single day. I thought, though, about how we will continue to stand beside them, and support them, and put aside the things that make us different and focus only on the things that make us the same. I have renewed faith and optimism – and it is all because of a flood that touched my community, and my province. Sometimes it is in the greatest challenges where we find our greatest strength – and in this past month we met a monstrous challenge. We countered it with an incredible show of strength and courage. We showed who we are. We are Canadian. We are Albertan. We are the Fort McMurray community. We are together, come hell – or high water. 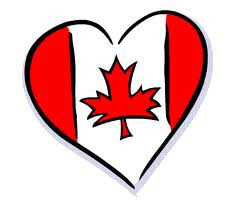 Happy Canada Day, fellow global citizens and friends. Today is the first day of many months of challenges ahead for our province – and I could not feel more optimistic about our ability to overcome them. We proved ourselves in June 2013 – and in July 2013 we will begin to truly shine as we clean off the mud and silt and dirt left behind, and rebuild our province and our community. We will, in the end, be better than ever – because we will do it together, side by side, filling our sandbags full of hope, compassion, courage, and strength.